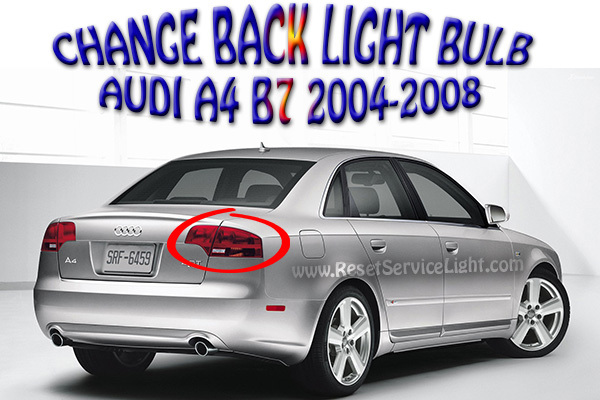 We are gonna show you the steps you need to follow in order to change the back light bulb on Audi A4 B7 made between year 2004 and 2008. 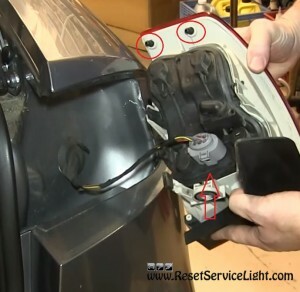 You will need a flat screwdriver for this simple repair, about 5 minutes of your time and of course, a new light bulb from your auto hardware store. 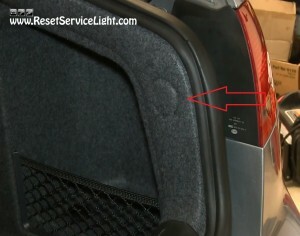 First of all, you need to open the trunk of your car and look after a round indentation, as the one marked in red on the next image, that you will have to pry out. After that, you will notice a black plastic bolt, which actually holds the tail light assembly. You will have to unscrew it, using the flat blade screwdriver. You should also uncover a small red plastic tab, that is actually the emergency fuel door release. 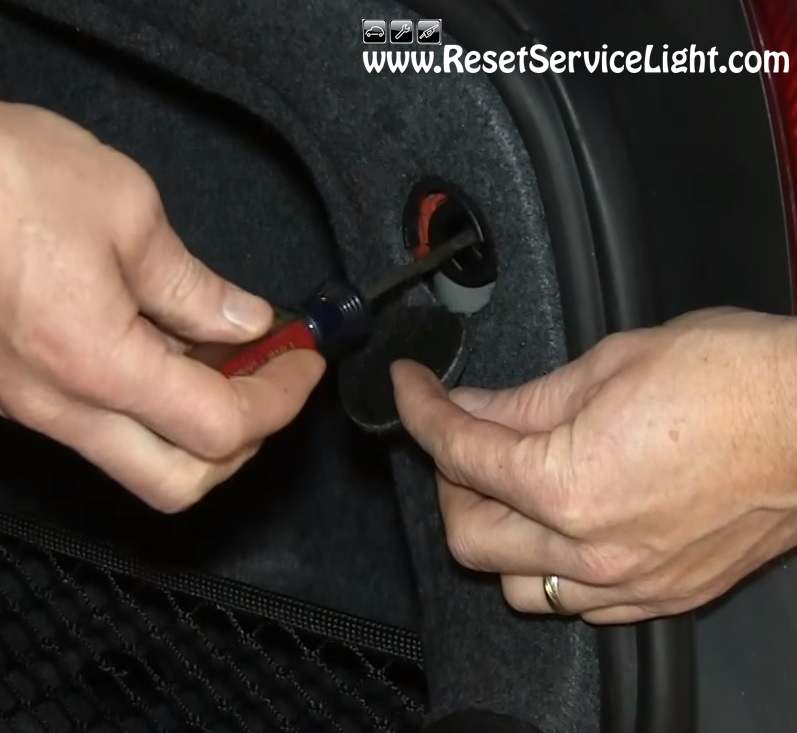 Pulling that out disengages the fuel door, in case of a dead battery or other emergencies. 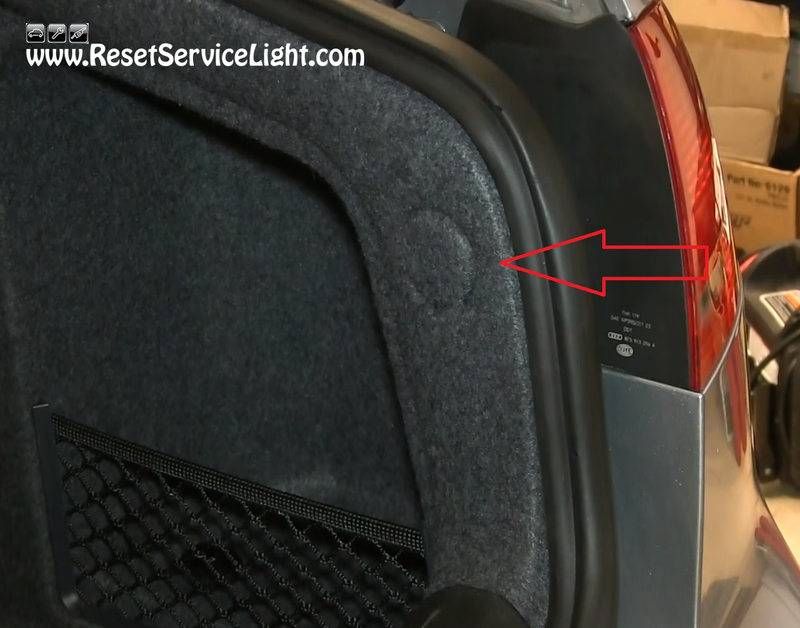 In order to remove the tail light, pull it diagonally out the back, because it is still held in place by two small plastic pins, as shown below. You should disconnect the electrical harness, if you need to change the entire tail light assembly. To change the light bulbs, you just have to press the plastic safety tabs located on the right and on the left part of the assembly. After you replace the bad light bulb, make sure you put everything back together as it should and the repair is complete.